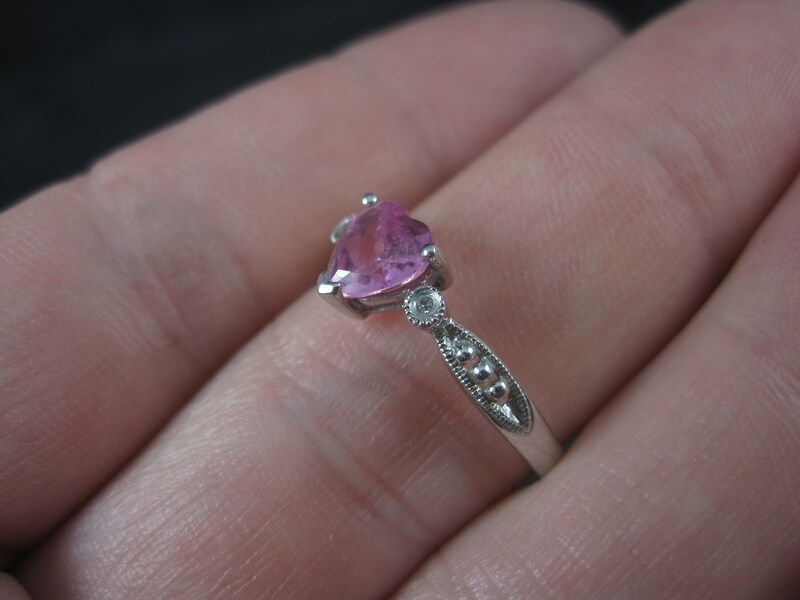 This beautiful 90s ring is 10k white gold. 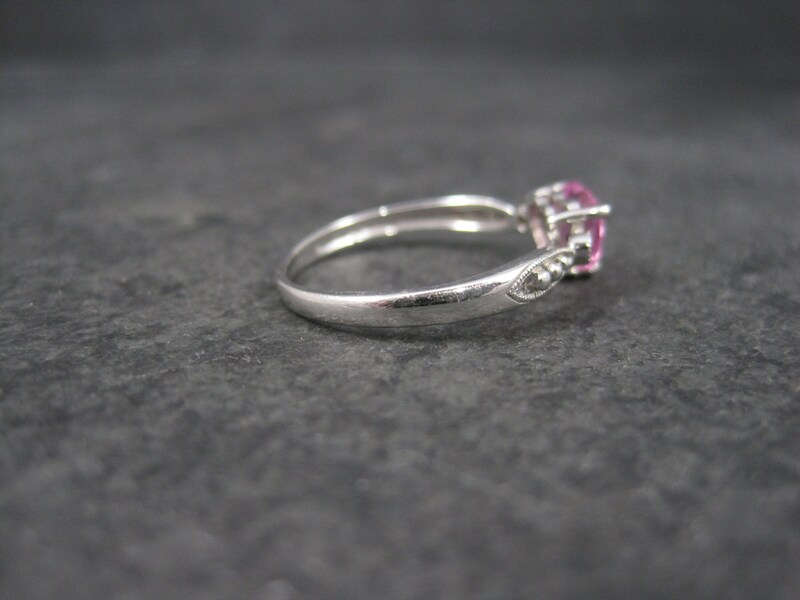 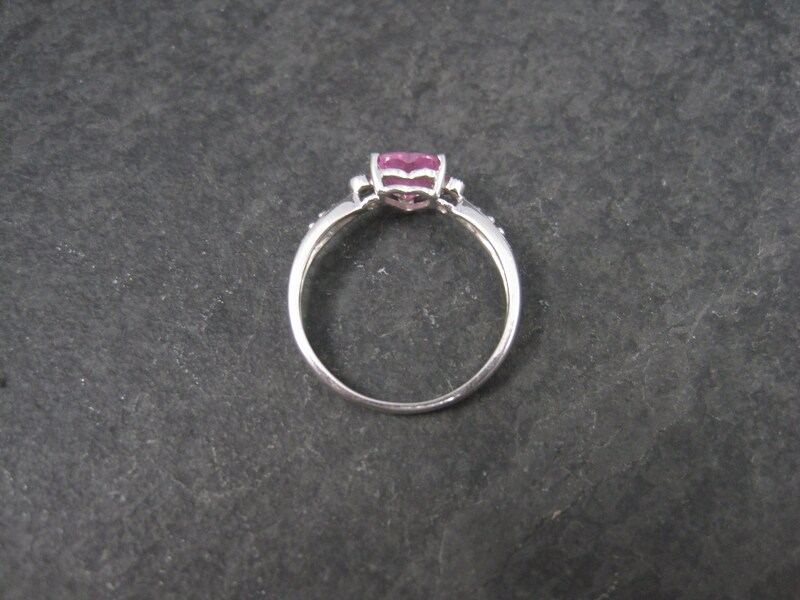 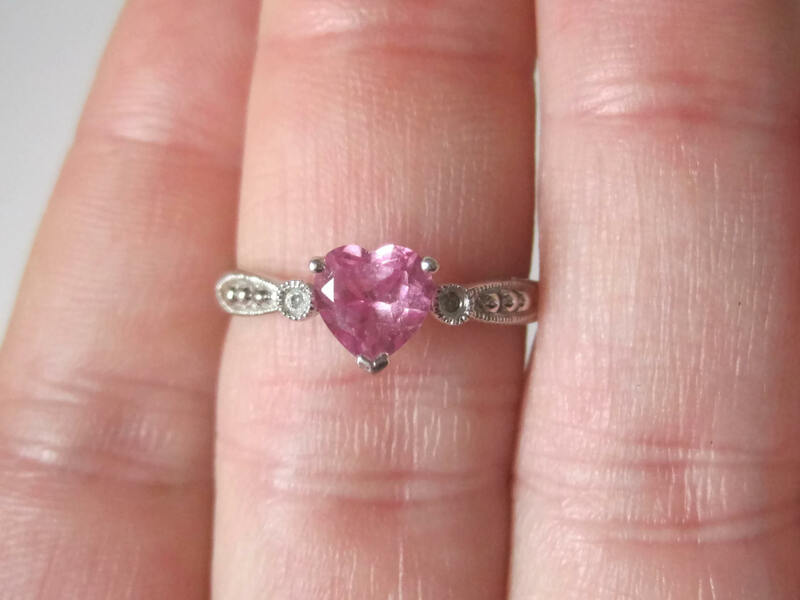 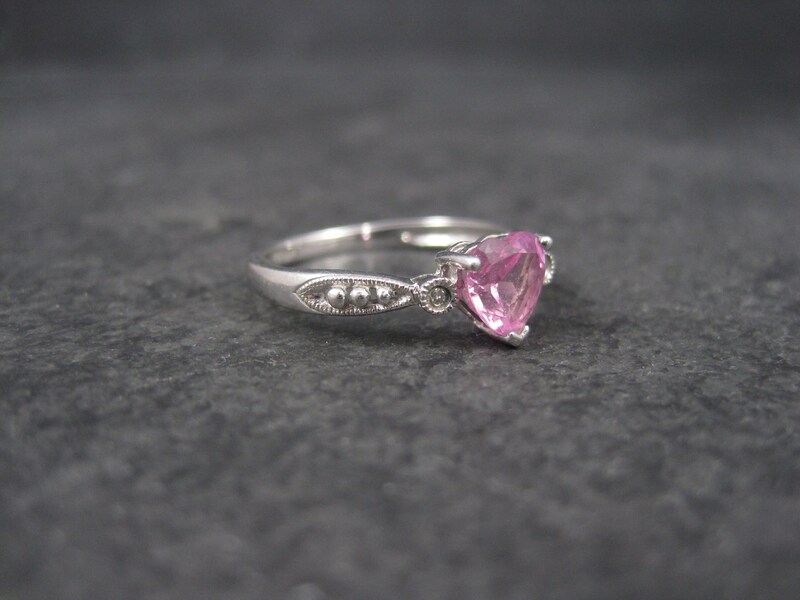 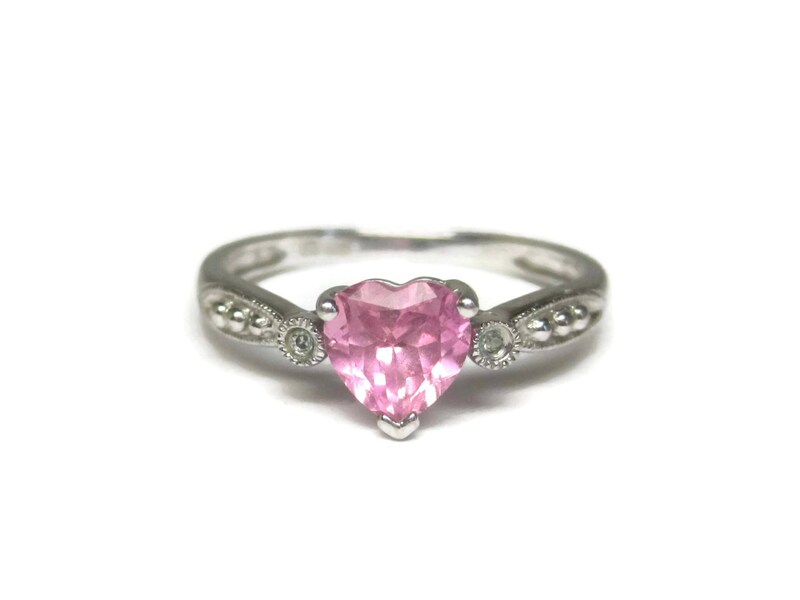 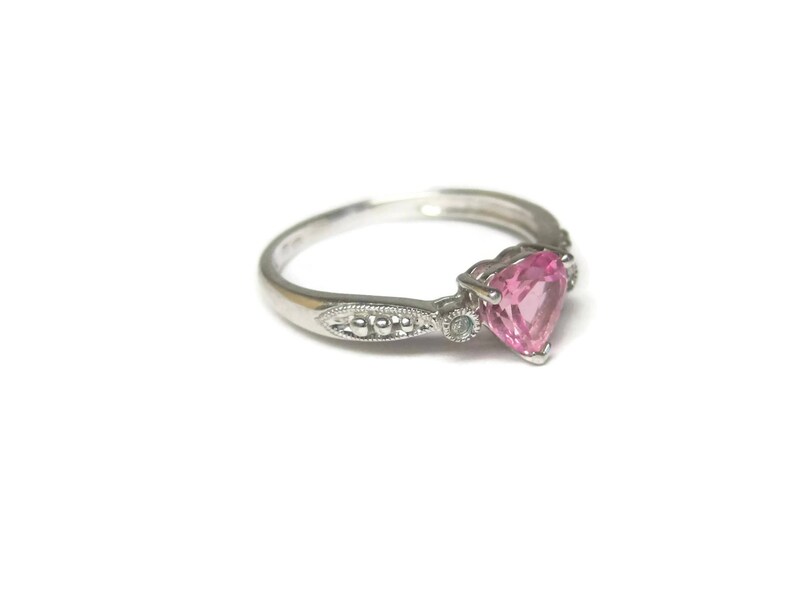 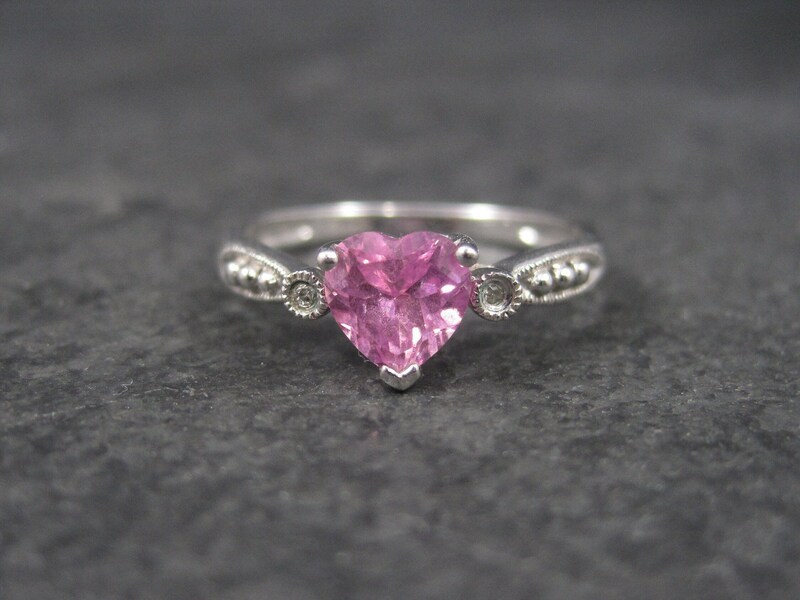 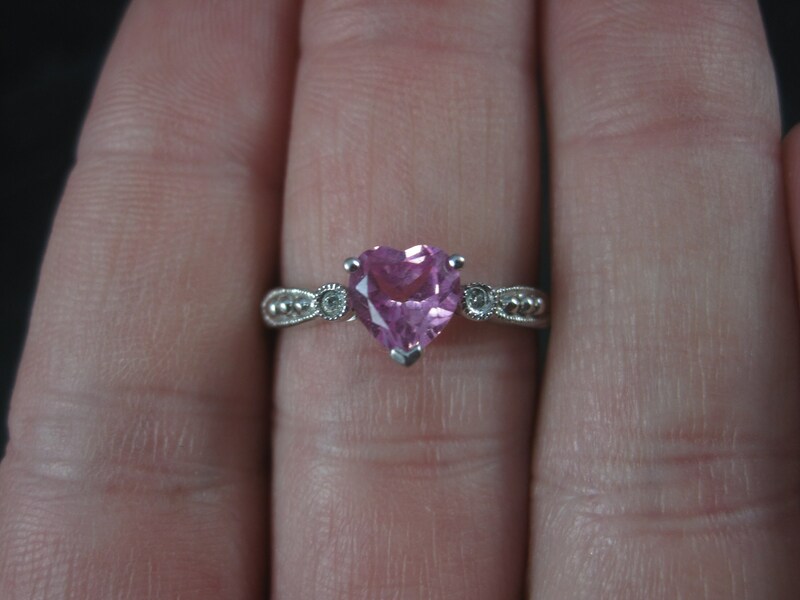 It features a .85 carat heart cut pink topaz and 2 tiny round diamond accents. 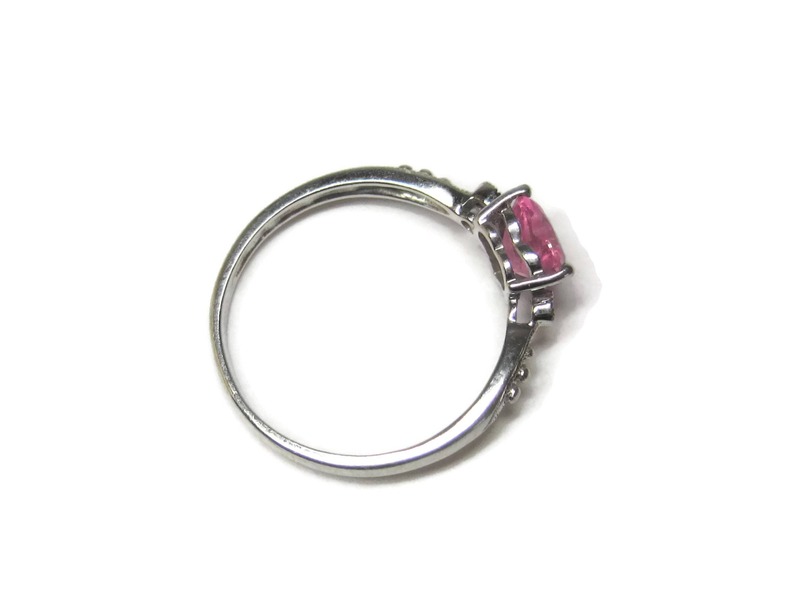 The face of this ring measures 1/4 of an inch north to south.